If you think your kids can’t build their own website, think again. Kids love computers, tablets, smartphones and whatever might come next, and they’ll use them for as long as these devices entertain and inform them. I think that providing kids with the opportunity to build their own website is a positive decision for many reasons. Firstly, there are real skills to be learnt there. Secondly, this experience can translate into a desire for further web-related study. Thirdly, a website can become a great tool for self-expression and creativity. Running a personal website can motivate kids to write articles, take photographs, make and sell crafts, create galleries of his/her drawings and more. Starting a kid’s website is undoubtedly a great idea, but which site builder to choose? Are there any special website builders created specially for kids? 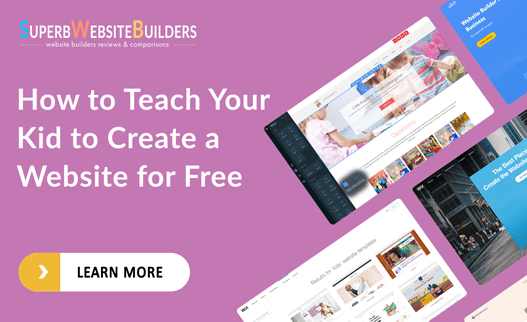 When it comes to the choice of the best kid website builder, it makes sense to select those that make it possible to launch full-fledged website for free. This will be a more reasonable solution from the practical point of view. Kids will not only be able to build as many types of websites as they need from scratch, but also to learn the intricacies and basics of web design in general. Regardless of the extensive selection of website builders available in the contemporary web design market, we have singled out two platforms that work great for kids. These are uCoz and WordPress. What makes them the best solution for this task? Let’s find that out right away. uCoz – is one of the oldest and the most well-known representatives of the web building niche. It stands out from the crowd due to the impressive and rich feature set, powerful functionality and multiple design customization options. The service works well for simple websites for personal use, blogs, business websites, forums, landing pages, portfolios and even online stores. A kid can easily master the system to create interesting websites with it. User-Friendly Interface. The system has a simple and intuitive interface, which is easy-to-understand even to children. All the elements and sections are on their places here. Full Access to Code Editing. uCoz provides full control over CSS and HTML editing options, thus allowing for deeper website customization. This is how a kid will be able to learn coding basics and practice the skills. Module-Based Structure. The website builder comes with a list of convenient and easy-to-use modules (blog, forum ets) a kid can arrange and modify as he or she needs. Modules will come in handy to a child, enabling him/her to use versatile approaches to the web building process. This skills may be further applied to create a website of his/her website or a sports team, for example. Rich Template Selection. uCoz offers over 20 categories of ready-made templates. The collection is regularly being updated to provide freedom of choice. There is also an opportunity to install an own theme to give your website individual design. Free Version. uCoz has a free version that never expires yet offers a rich toolset to ensure decent and engaging web building experience. There is even a possibility to connect your own domain at no cost at all here. 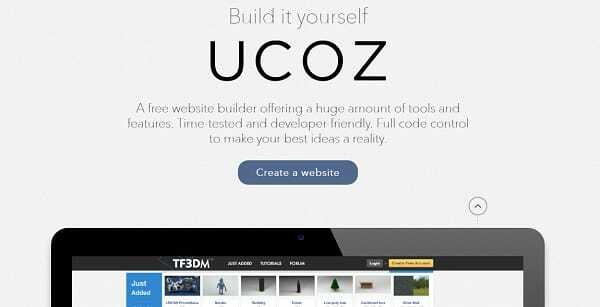 uCoz is an ideal website builder for kids, exploring the basics of website creation. Its interface is understandable to all users with no exception at all. The system is free to use for everyone, unveiling useful web design information and system nuances in the easy-to-perceive way. This knowledge and skills will further make it possible to create quality websites to come up to the needs of a child. uCoz also implies exploration of the basic web technologies like CSS, HTML, PHP, domain connection and management etc. These features matter a lot for children, who make their first steps in the web design niche. WordPress – is the most popular free open-source CMS, which is comparatively easy to use for kids. The system was initially launched as a blogging platform, but it further developed into an all-in-one platform with powerful feature set. When using WordPress, your kid will be able to develop different types of websites, starting with simple landing pages and personal projects and up to complex portfolios, blogs, online stores and business websites. Ease of Use. WordPress is the easiest and the most convenient CMS for children. Its intuitive dashboard and easy-to-navigate interface make the platform a worthy choice for parents willing to teach their kids the basics of website creation in a simple and understandable way. Free Template Selection. 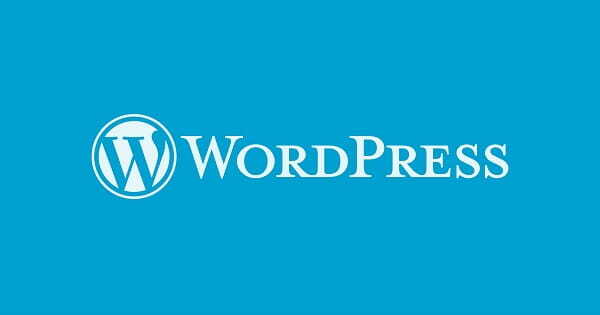 WordPress is known for its numerous free templates that are both integrated and available online. Template quality is on a decent level. They are responsive and fully customizable. It makes sense to use pre-designed WordPress themes for a kid’s website, which are 100% secured from malicious codes. Powerful Blogging Engine. The CMS stands out from the crowd due to its powerful blogging engine. Your child will be able to start and manage a personal blog, thus practicing website development skills. Plugins. WordPress comes with rich plugin selection that are either available in stock or can be downloaded from the web. Plugin integration will notably contribute to website performance and visual appeal. Extensive Code Editing Options. By using the system, children are able to learn and use code editing skills for better project presentation and unique design creation. Strong Community Support. One of the undeniable highlights of the system is its powerful and strong community forum that can help kids find answers to their questions and solve any problem they might face. Free Hosting Choice. WordPress provides users with freedom of choice, when it comes to hosting selection. So, if your son or daughter has created a website that is worth being published on the web, you are welcome to select the hosting you give preference to. WordPress is a renowned CMS, which is absolutely free for everyone, who is going to create a website on the subdomain (if you hosting peovider supports such a free option). The system is the most popular and easy-to-use web building solution for children, providing multiple web building tools and even code editing option that can enhance the performance and visual appeal of a project. How to Create a Website with WordPress. The variants reviewed above will help kids learn and understand the basics of web design and the principles of website building in general. In other words, uCoz and WordPress provide a perfect educational basis for toddlers that can help solve their major task – creation of decent websites. If the first web design experience of your child was a success and he/she has the desire to keep moving in this direction to improve the skills and create more serious projects. It makes sense to choose more complex and powerful website builders like uKit or Wix. These modern platforms are worth the attention due to advanced design customization methods and tools, high quality templates and abundance of features that make them the renowned leaders of the contemporary website design niche. Another option is to create a full-featured website with WordPress, using trusted hosting like Bluehost. This is an official hosting provider recommended by WordPress, which offers multiple highlights and services charging cheap fees for the pricing plans. Whatever option you and your child will go for in the long run, it will be a decent value for the money invested. Have you ever seen a specialized site builder for kids out in the wild? Share your experience in the comments!